Volvo is back with the all-new 2016 XC90, a model that offers an immaculate design, top-notch safety capabilities, fewer trips to the fuel pump, and a comfortable ride. 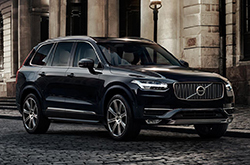 Its first redesign in over a decade, the brand-new XC90 far exceeds every expectation of style and elegance and delivers a supreme blend of utility and luxury. With a spacious interior, powerful performance qualities and premium standard features, buyers are sure to find exactly what they're looking for with the 2016 Volvo XC90 in Plano, Texas. Featuring an efficient Drive-E 2.0L four-cylinder engine, standard all-wheel drive, and an eight-speed automatic transmission, the XC90 makes every drive an adventure, all while proving that power and efficiency really can go hand in hand. Buyers can select from the standard Momentum, sporty R-Design, and luxurious Inscription trim levels, in addition to a XC90 Hybrid. With a range of options, XC90 drivers are guaranteed absolute satisfaction. When it comes to SUVs, Volvo knows what its customers want. 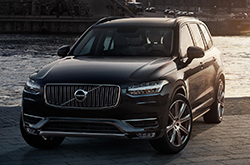 That's why 2016 Volvo XC90 reviews emphasize the incredible suite of safety features found in the seven-seat XC90. With standard backup cameras, run-off road protection, collision preventing technology, driver alert controls, lane departure warnings and road sign information software, the Volvo XC90 in Plano provides drivers with extra peace of mind. Beyond its premier safety standards, buyers of the XC90 will also be equipped with the most updated, accessible technologies. Using a tablet-sized, 9-inch touchscreen display, XC90 drivers will have the ability to control the interior temperature, the extensive Volvo Sensus information center, Bluetooth Hands-Free Phone capabilities and high-performance audio system at the touch of a hand. In addition, XC90 owners can pair their smartphone with Volvo On Call in order to remotely check the car status, locate their car, unlock and lock doors, and turn their car into a Wi-Fi hotspot. With intelligence and style, every 2016 Volvo XC90 on sale in the Dallas metro area offers the premium experience that luxury buyers seek. Not only does the SUV include all of the latest technology and a stylish revised exterior, but it does so while promoting fuel efficiency, safety and comfort. With infinite opportunities behind the wheel of the luxury SUV, it's no wonder that 2016 Volvo XC90 reviews have labeled it a top pick in its class. Compare the 2016 Volvo XC90 against vehicles like the 2016 Lexus GX 460, Acura MDX, Buick Enclave, Cadillac SRX and the Volkswagen Touareg, and we're sure you'll find out that the XC90 wins over the competition in quite a few areas. Shoppers will love the XC90's bargain price, as well as its superb design. Compare its price against the opposition and you'll definitely see that it's a truly outstanding value, which makes it a well-liked choice for many Plano Volvo customers. Browse our facts list to learn more about the XC90 - bullets underneath this text. 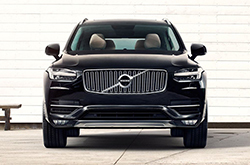 Crest Volvo Cars is your source for 2016 XC90 reviews and car comparisons. Our reviews are transcribed by well-informed automotive critics. It is a resource we like to provide as one of Plano's foremost Volvo franchises. This Volvo review contains ultra-precise information about the XC90 and it's specifications, powertrain options and more. Find out more about Crest Volvo Cars' amazing lineup! 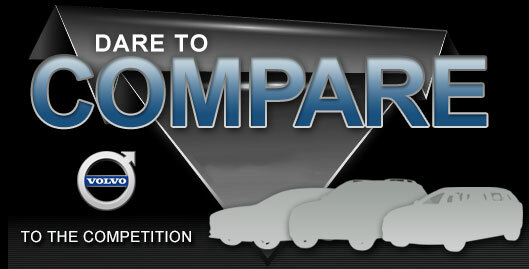 Review and compare Volvos to other vehicles in our digital research index now!